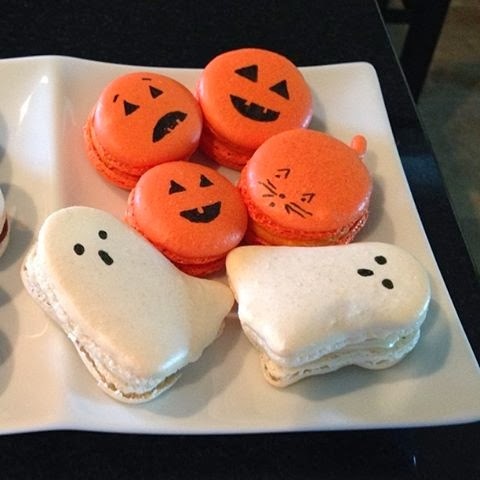 These Halloween macarons make me wish I was celebrating Halloween with my friend Barb. She creates the most beautiful cookies and these macarons are just her latest. When she shared these on Facebook I knew I needed to show them to you because she doesn't have a blog and you might not be lucky enough to be friends with her on Facebook! She used fine tip food coloring markers to make the faces and she used the macaron recipe from Buttercream and Chantilly Factory and the macaron filling recipe from The Marvelous Misadventures of a Foodie.